New album out on Orenda Records! Order today on CDbaby, Amazon or Apple Music. “The music of ‘Seismic Belt’ is generously playful and adventurous. Each piece has multiple elements of styles from varied early jazz, lots of swing, a wide scope of dynamics, boundary jumping measures, and incredible dexterity (both mentally and physically). The entire event is first class throughout. The complex rhythms keep you on the edge of your seat and demands attention to that marvelous mind you have. This is big band done in a premium way, sometimes kiting all over the stage, only pausing for the occasional intimate trumpet solo, so soothing to the soul, or a quick side step for stand up bass, violin and quiet drumkit to make entrance for more peppy syncopated orchestration. It sounds like a perfect collision of her B’shnorkestra (her other larger ensembles of 14 members), and her Sam Boshnack Quintet, both having multiple ingredients, but the mixture is large scale orchestrated and then small details magnified among the majestic. “Boshnack skillfully weaves melodies, improvised solos, and pulses of varying intensity to express arcs, plate movements, and explosive volcanic activity. Seismic Belt has many jagged edges, abrupt explosions of improvisation, angular melodic passages, and uneven endings…. Special thanks to Stella Rossi, Mark Boshnack, Daniel Rosenboom, Chris Credit, the Herb Alpert Foundation, the fabulous folks at 18th Street Arts Center, and the incredible musicians who leapt into the fire with me. Music commissioned by Chamber Music America New Jazz Works program with generous support from the Doris Duke Foundation. Tuesday, December 11, 7:30 p.m.
Greenwich House, 27 Barrow St., New York City. The concert features Alchemy Sound Project members pianist Sumi Tonooka, saxophonist Erica Lindsay, trumpeter Samantha Boshnack, Salim Washington on woodwinds, and bassist David Arend, along with trombonist Willem De Koch and guest drummer Victor Lewis. A collective of five forward-thinking composer-performers traversing the borders between the composed and the improvised, Alchemy Sound Project creates and performs groundbreaking new work that combines elements of jazz, world music and modern chamber music. The group – which is diverse in age, ethnicity and gender – has released two critically acclaimed recordings: Further Explorations which earned the band a place on DownBeat Magazine’s Best Albums of 2016 list and their 2018 release Adventures in Time and Space, which has been heralded as “mesmerizing…wholly recommended” by Mike Greenblatt in The Aquarian. The five core members of Alchemy Sound Project were initially brought together by the Jazz Composers Orchestra Institute, a program of the American Composers Orchestra and the Center for Jazz Studies at Columbia University that encourages jazz composers to explore writing music for symphony orchestra. Saxophonist Lindsay attended the first JCOI session in 2010; at her encouragement, both Tonooka (a frequent collaborator) and trumpet player Boshnack (a former student of Lindsay’s at Bard College) enrolled in the second round in 2012. There, Tonooka and Boshnack met and bonded with bassist Arend and multi-reedist Washington. 18th Street Arts Center’s 2018 “Make Jazz” Residency: Samantha Boshnack from 18th Street Arts Center on Vimeo. This eight-movement work is an exploration of seismic activity along the Ring of Fire through musical composition, experimenting with the friction of geographic shifts to create a new harmonic topography. The music examines our relationship with the earth we live on, and the element of risk and faith in that uneasy cohabitation. Movements of the work draw on influences and stories from some of the cultures and people living on the Ring in places such as Chile, Japan, Alaska, Western Samoa, and Russia. Boshnack wrote “Seismic Belt” during a 3-month residency at 18th Street Arts Center earlier this year, through their annual Make Jazz Fellowship in Los Angeles. This award is sponsored by the Herb Alpert Foundation to support promising, emerging composers. Boshnack debuted the music in two concerts in LA with an all-star band she assembled. This Earshot Festival performance of “Seismic Belt” features an incredible line-up of Seattle musicians joined by one special guest from her Los Angeles band – Lauren Elizabeth Baba on violin & viola. Pianist Alex Chadsey has been a mainstay of Boshnack’s projects, as has drummer Max Wood and tenor and baritone saxophonist Chris Credit. Troy Shiefelbein joins on upright bass, and violinist Begin Scarseth rounds out the string section with Baba. This unusual instrumentation brings together elements of her previous ensembles: she combines her love of string writing (as evidenced in B’shnorkestra) with a piano-driven rhythm section (from Sam Boshnack Quintet) and horn-heavy melodies (in Reptet). Photos by Emma Wang, courtesy of 18th Street Arts Center. Boshnack’s love of hiking the peaks of the Pacific Northwest, combined with travels to other areas located on the Ring sparked her fascination with volcanoes, and the cultures that surround them. As with her other recent projects, this work leads the listener into a storied landscape projected as musical narrative. 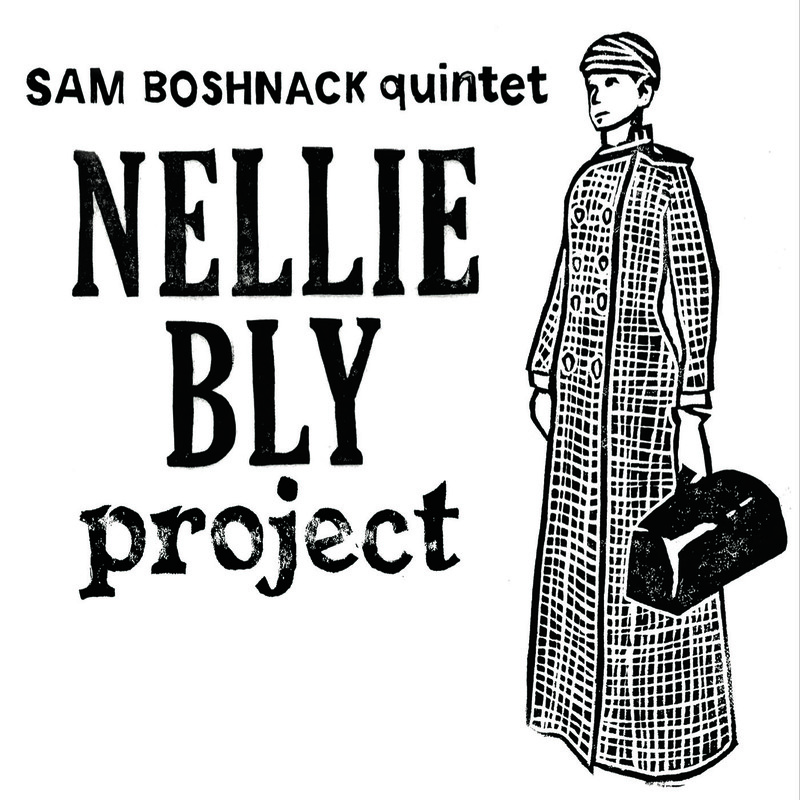 In 2017, she released “Nellie Bly Project” which illustrated the 19th-century daredevil/feminist/journalist’s heroic life. 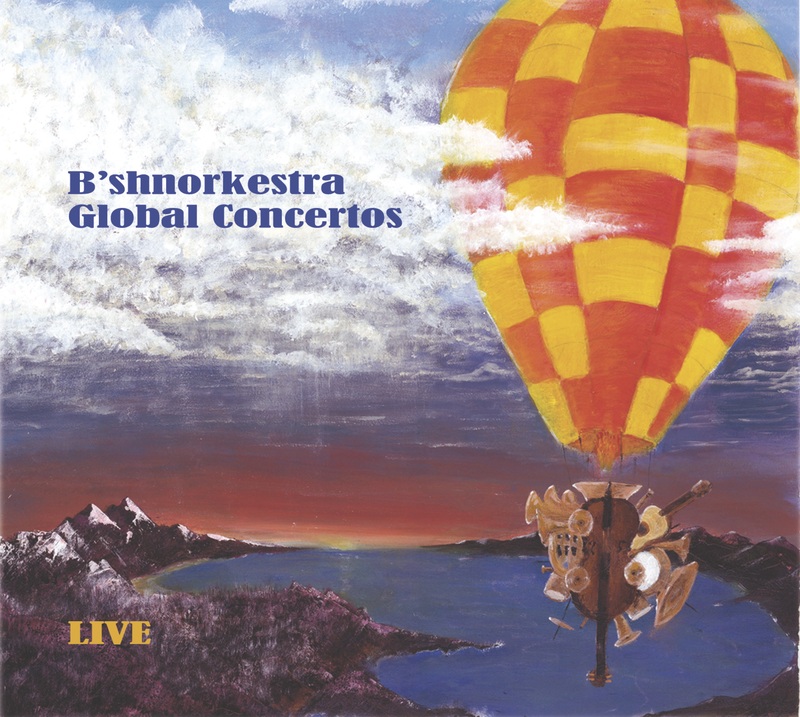 In 2016, her desire to celebrate individual expression and virtuosity of musicians outside of Western classical music prompted her to compose “Global Concertos” – which explored the sounds of five continents, performed with a representative musical ambassador from each. Samantha Boshnack’s Seismic Belt Live in Santa Monica will be released in March 2019 on Orenda Records!